The compact and low sound level enable the units to be installed to various environment with restriction and/or limited spaces such as mechanical rooms and or rooftops. 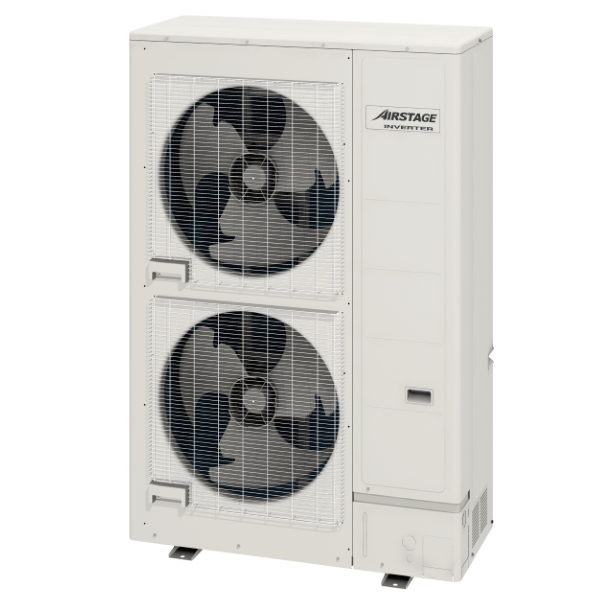 Up to 40 indoor units* can be connected by the optimum heat exchanger structure. Available to various small rooms. Top class low sound operation has been achieved. 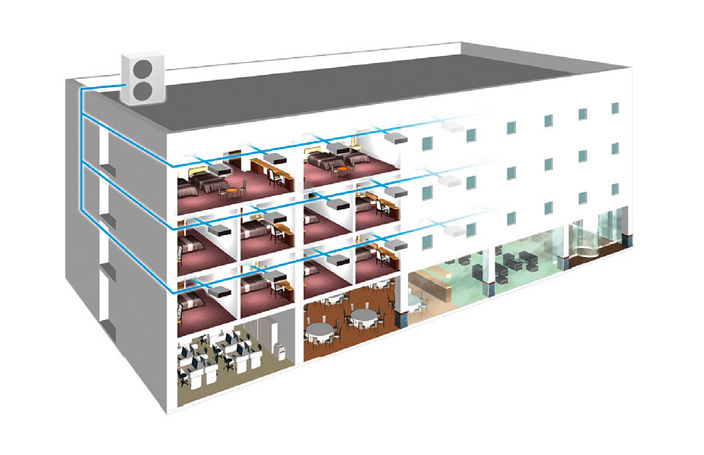 This allows installation of the units to various places without special sound prevention work. This model is much more compact than comparable outdoor units making inconspicuous installation in confined spaces possible. The high efficiency and the low sound operation are mutually realised by reduction of a draft loss which are enabled by the Fujitsu General's original blade design and a large diameter propeller fan. Miniaturised, low noise, high efficiency, multi-stage DC fan motor is mounted. Heat exchange performance is substantially improved by mounting of 2-row large heat exchanger. Efficiency is improved by mounting of new active filter module. Cooling performance is improved by mounting of dual tube heat exchanger. 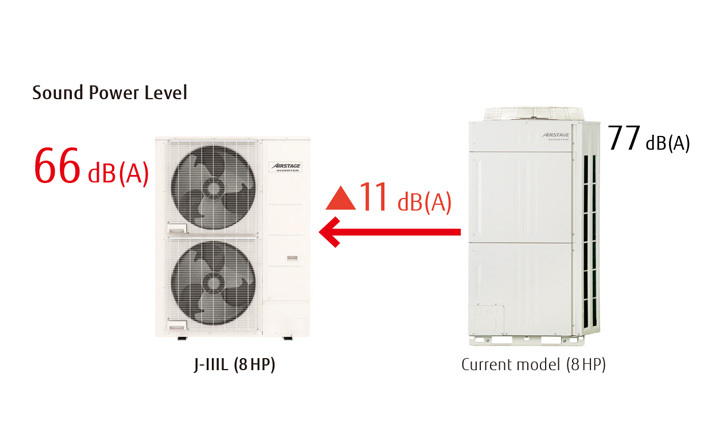 The equipment of scroll compressor with a wide range of rotational frequency from 15 to 120 rps together with Fujitsu General's unique sensor-less sine wave control method which smoothly control the input power run into the motor realised a mutual improvement on the energy efficient operation and the low sound operation. 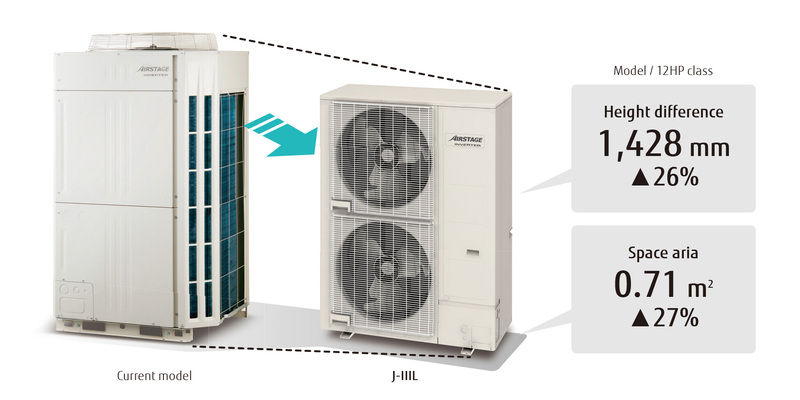 Our advanced refrigerant control technology allows us to achieve a total refrigerant piping length of 400 meters. This opens up new possibilities in system design. 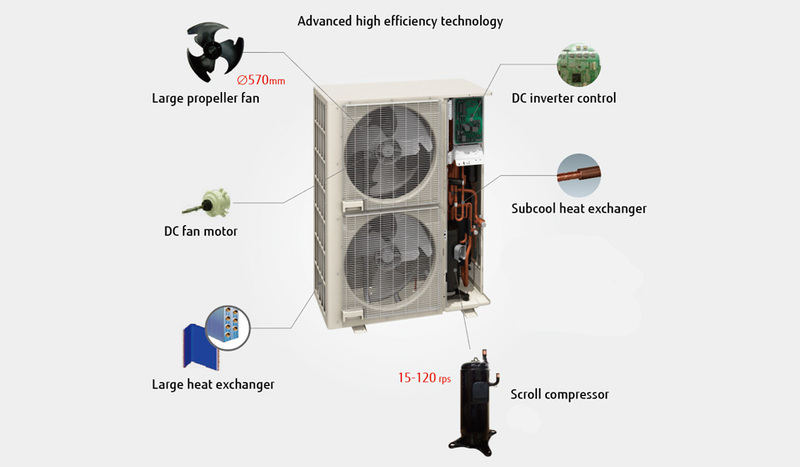 The combination of the smallest but adequate capacity indoor unit and a new outdoor unit with the optimum heat exchanger structure has realised the industry’s top class connection of 40 units. *for 16HP models. 14HP models = 36 units. 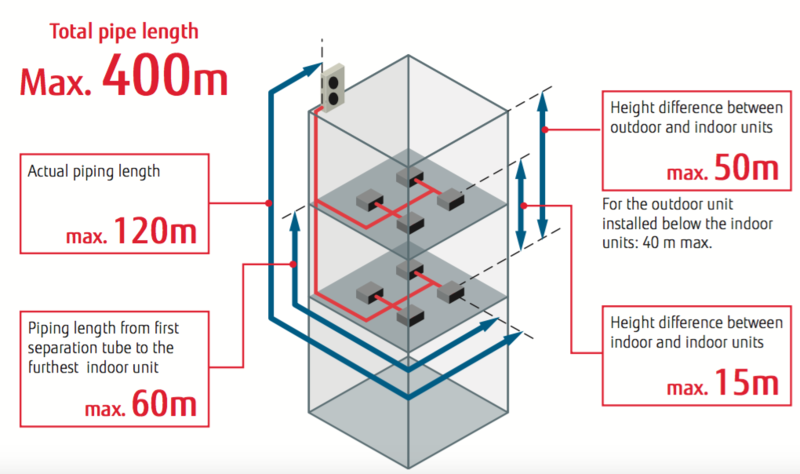 External static pressure is available up to 60 Pa.
Top class low operating sound is realised. Highly suited to densely populated areas thanks to their low operating sound.